Hi all! It's amazing how fast time flies by when you're sitting at your sewing table sewing little pieces of fabric and before you know it the clock reads a little after 10pm! 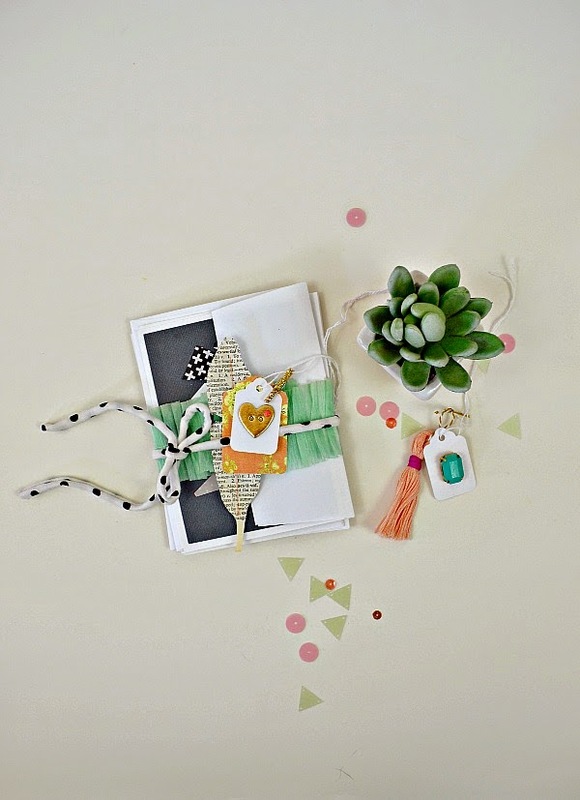 Spring has ushered in a bunch of new project ideas that have begged to be started on and let's be honest - who could say no to a couple of spare hours and boxes of new craft supplies! So, first things first, thank you so much for all of the sweet comments! 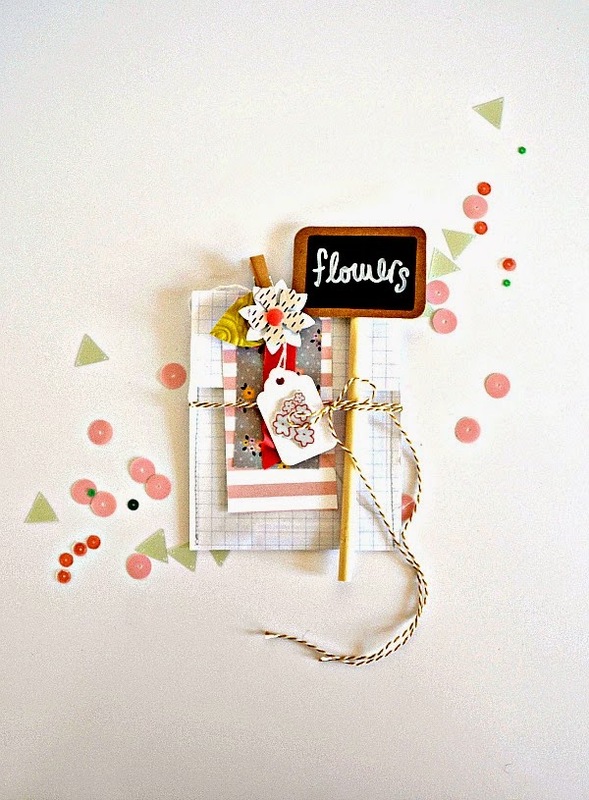 These mid month blog hops have become a favorite of mine! I also wanted to mention the name of this paper I used for the Papertrey Ink post because Kellyann asked for it! :) This is an older Crate Paper line called On Trend (#680082) It was one of my favorite collections that they created which is why I've yet to bring myself to cut into it. Why do we as paper artists do that? It's so ironic! I actually have an entire stack of paper in my craft room that I've deemed to pretty to use. Think Chatterbox, KI Memories and Basic Grey Black Tie, Hambly Screen Prints - oh yes, I have a quite collection of the original greats and I cannot use them. Good night everyone, hope you all had a splendid day! 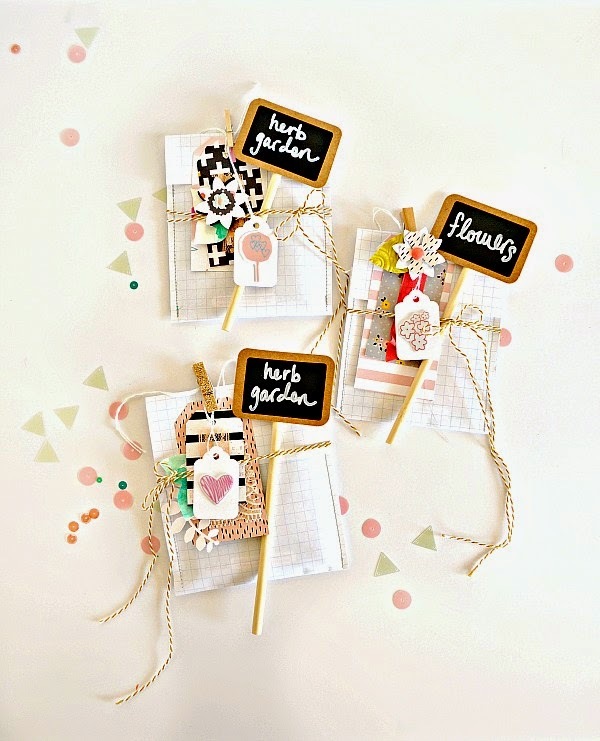 Welcome to the Gossamer Blue blog hop! This month left me rather stumped on an idea to feature. 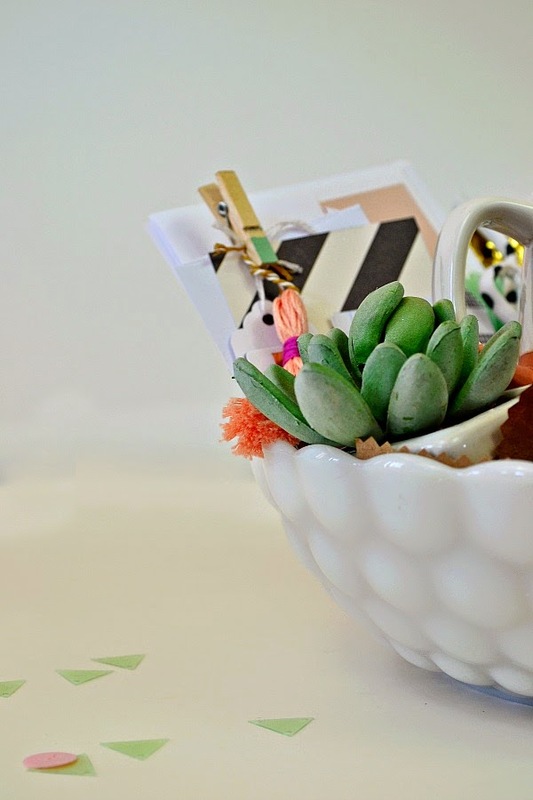 I thought about Spring, and Spring vacation and all of the craft projects I have on the agenda and then I remembered that Easter is just a few weeks away! 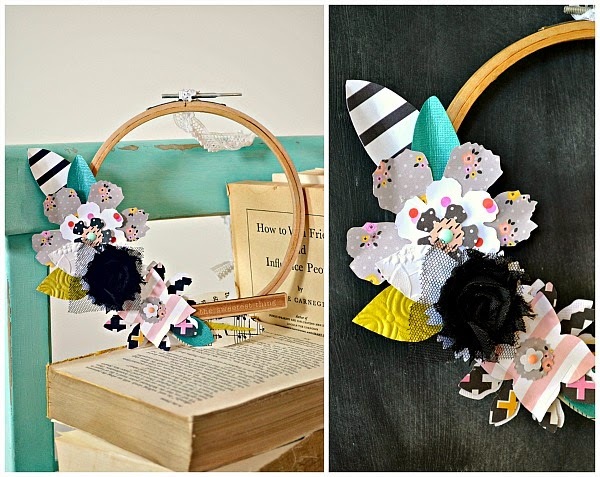 The kids always want to know why the Easter bunny doesn't bring the grown-ups a basket so, rather than a traditional Easter themed project I wanted to take a traditional idea and put my own twist on it. The Easter Basket! 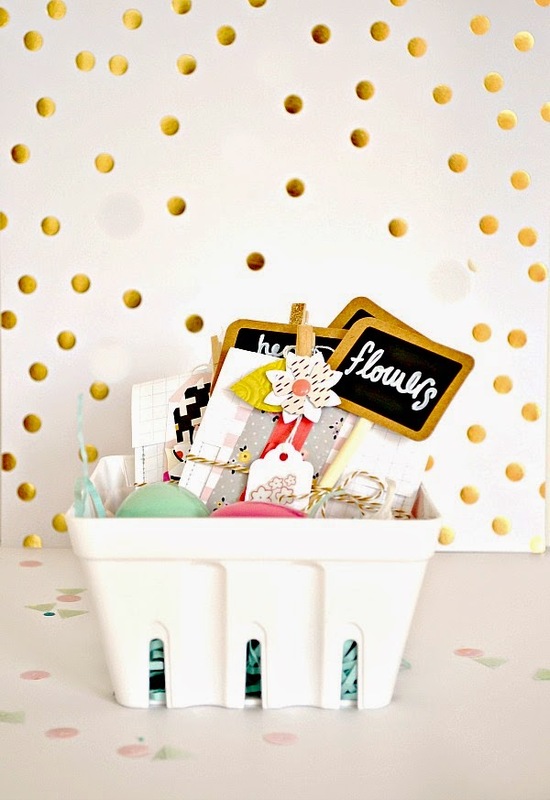 Sounds simple enough - usually filled with bright green plastic grass, candy and little toys but what would your Easter Basket look like now that you're all grown up? 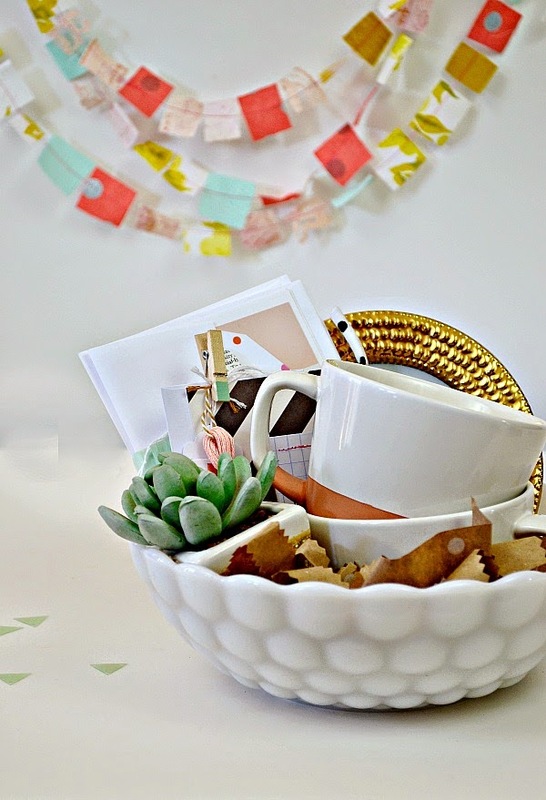 So, there's the inspiration: to create an Easter Basket filled with the things that I love right now! 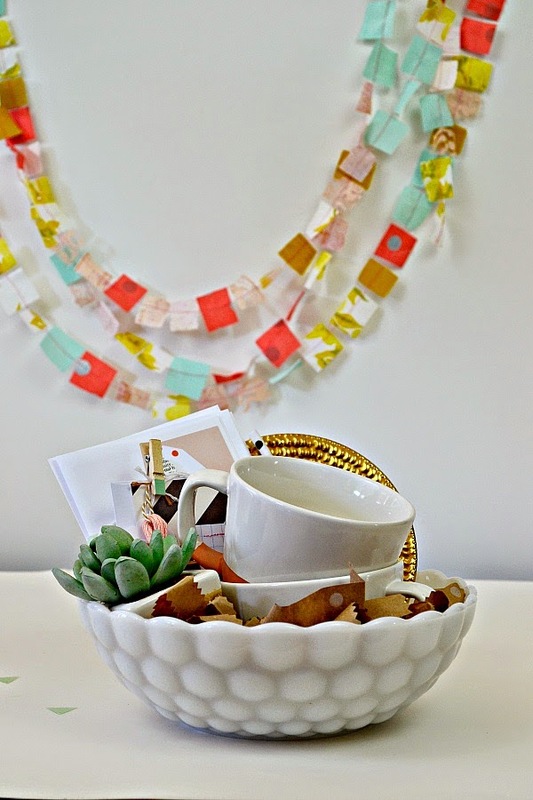 all in a great vintage milk glass bowl! The kids and I stopped into a local gallery over the weekend, this particular one is filled with rocks and glass works. (I now realize that anytime you take small children into a place with the word 'rare' in the title that it will induce a near panic attack!) The rocks were incredible - lots of cut and polished crystals to see. I thought it would be fun to make a small collection of cards using some of the left over paper that I had leftover from the March main kit. I cut the pieces into geometric shapes to mimic the quart spears we had seen in the gallery and sewed them along in a row. 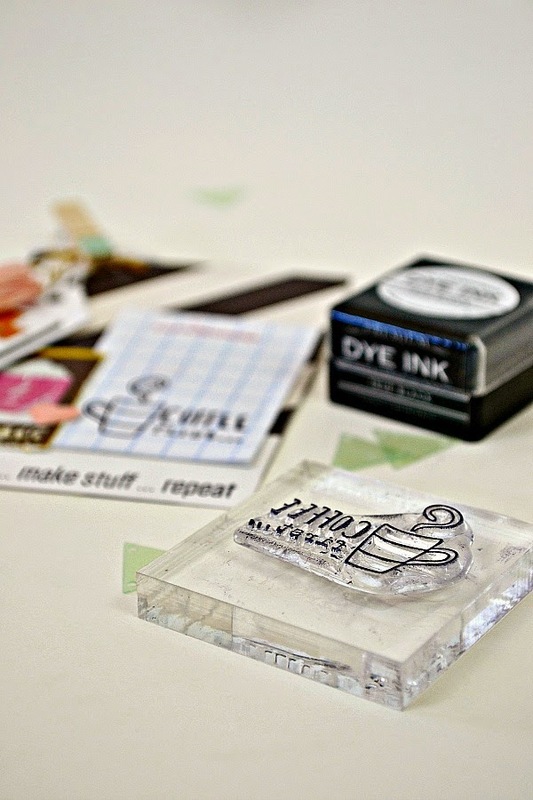 These cute coffee stamps can be found in the March life Pages kit! What would we find in your Easter basket? 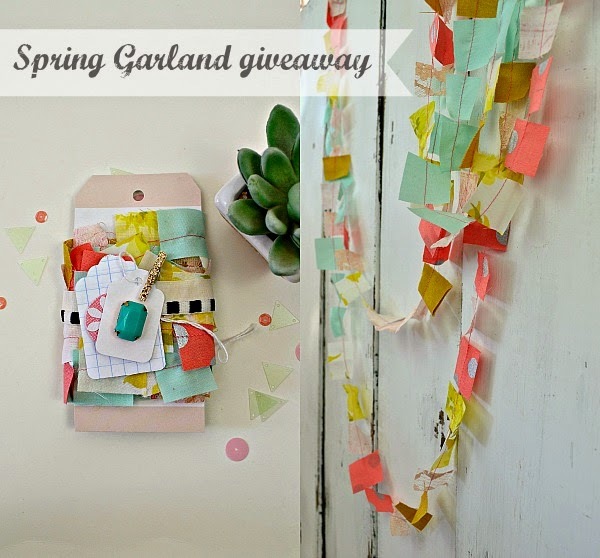 I'm giving away one of the sewn fabric garlands! I used lots of little pieces of fabric - some found and collected, some new and a few vintage, all in pretty Spring colors. If you would like a chance to win the fabric garland that I made for these photos, leave a comment below on this post. I'll choose a winner at random on Tuesday. Thank you so much for dropping in! 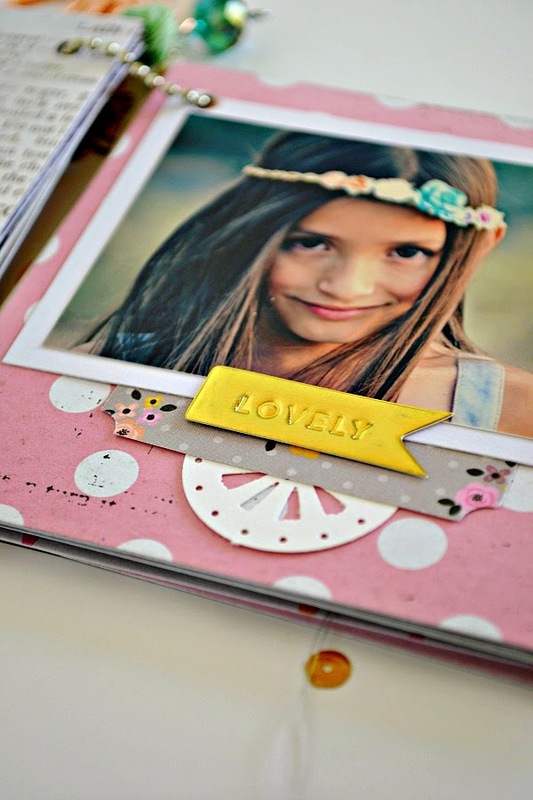 Be sure to check out these girls for more March inspiration today! Hi all! I'm finally getting to share this post and super excited to tell you about the Papertrey Ink - Moments Inked - Memory Planner! I got a chance to play with the sizeable planner last month and there are some incredible components hidden within. 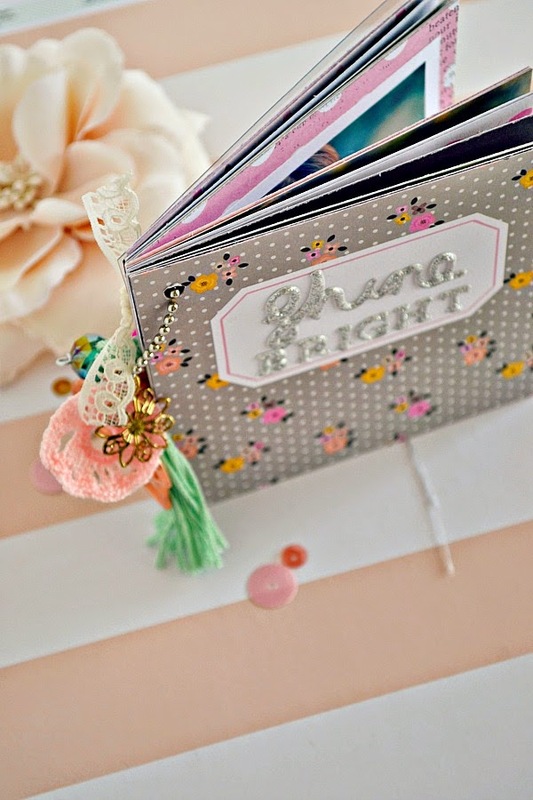 If you are currently creating a Project Life or scrapbooking by day or week this planner is the perfect edition to help you stay on track. I'm not scrapbooking in that capacity so I chose to use it as an actual day planner (more so for the kids' school schedule) and utilized many of the stamps and diecuts to personalize it for my own needs. 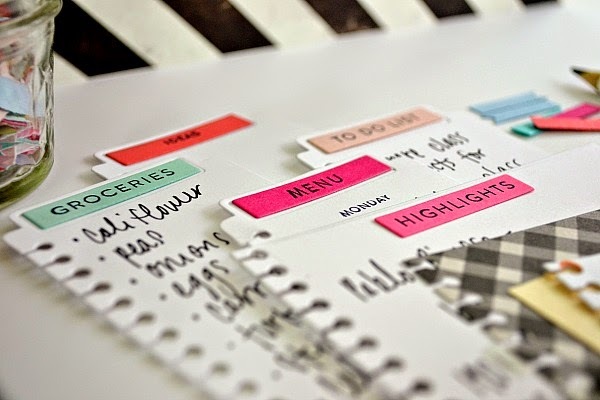 If you're a die-hard list fanatic like myself, the Basic Pages dies are going to work wonders to help keep you organized! I love that they fit right into the planner too - no more sifting through stacks of scratch paper to see where the scribbled list is! To highlight special events and dates there are a number of various stamp and diecut sets to choose from. 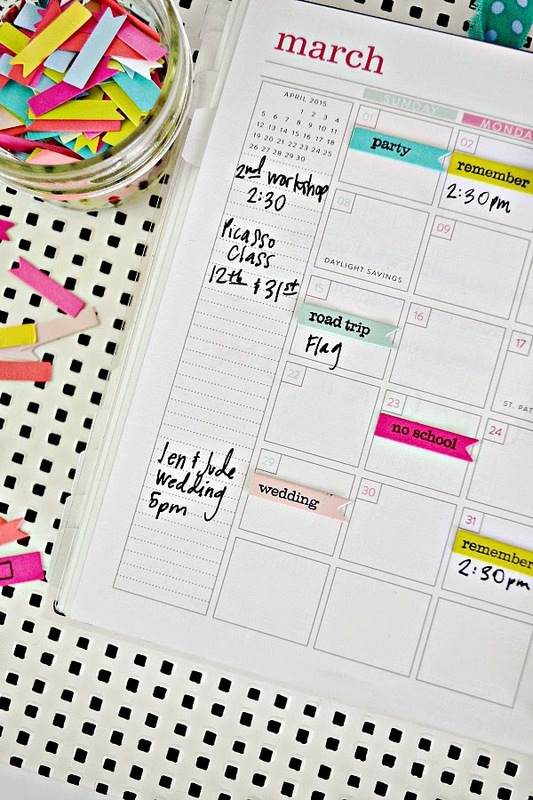 These little word stamps combined with the Planner Banner die cuts will keep all of your important dates organized! I spent some time cutting the tiny banners out of bright cardstock and collected them all into a glass jar for easy access. 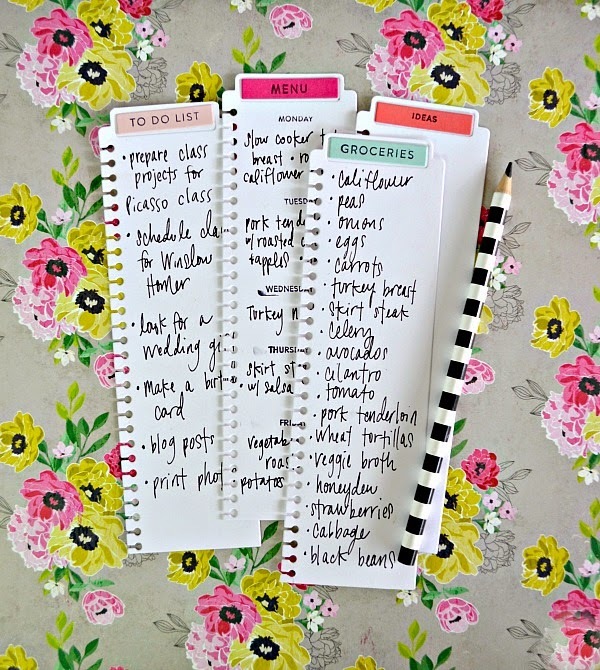 I tend to make a lot of the same type of lists on a daily basis and weekly; menu outlines, grocery lists, to-do and possible craft ideas to make. 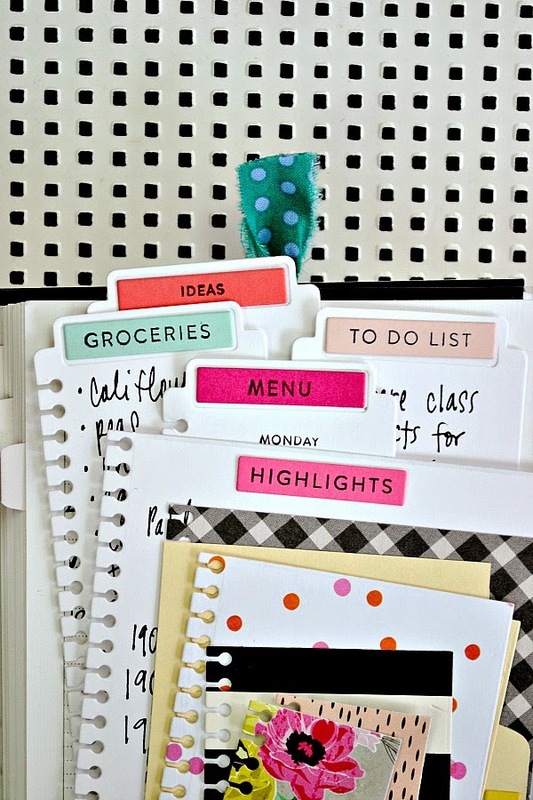 Having a special way to create lists and to keep them organized was a really big deal for me. 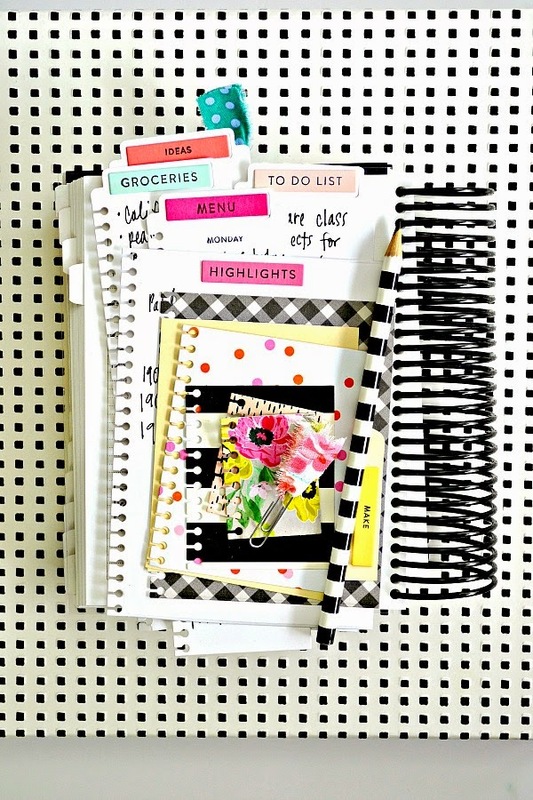 No more sorting through a stack of scratch paper looking for my little handwritten to-do list. Now, not only do my lists look pretty because they are all the same size, but they easily fit into the binding of the planner. 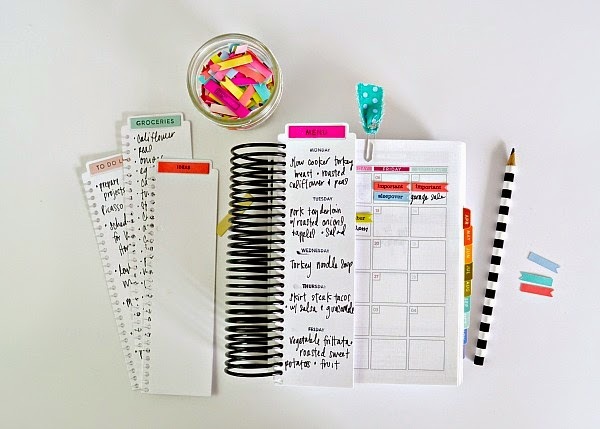 The possibilities are truly endless for this little planner and whether you're a Project Life crafter or just a mom with a super hectic schedule, there is something useful for everyone to help keep your time managed and your daily memories saved! Hi all! There are many new things in the works around here which partly explains my absence. Not all creative and craft related but I'm slowing getting use to the idea of transitioning my time else where - and with school and teaching winding down in the next 2 months, it seems time to welcome some new challenges! 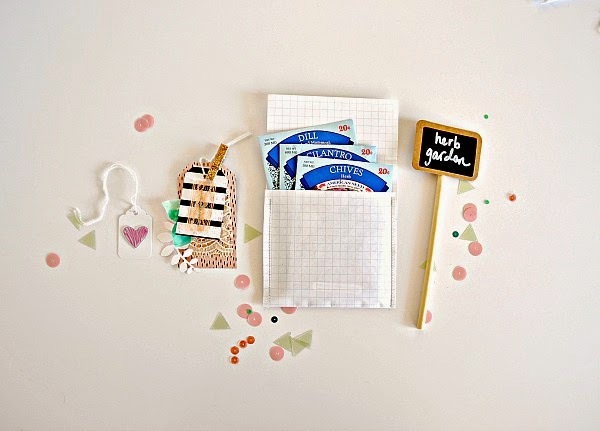 But first I have the March Gossamer Blue kit to share! I have to say that the collection of papers in the main kit, while not the typical sought after colors of Spring, are quite sweet and cute. 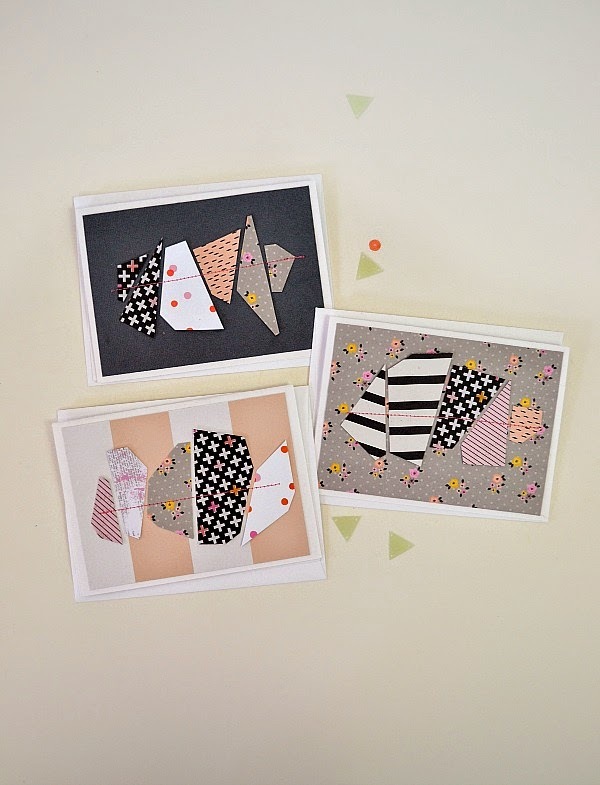 Lot's of bold black and white graphics with grey and pink florals blended in. It's not an over the top pastel Spring kit but rather a more grown up polished Spring kit! 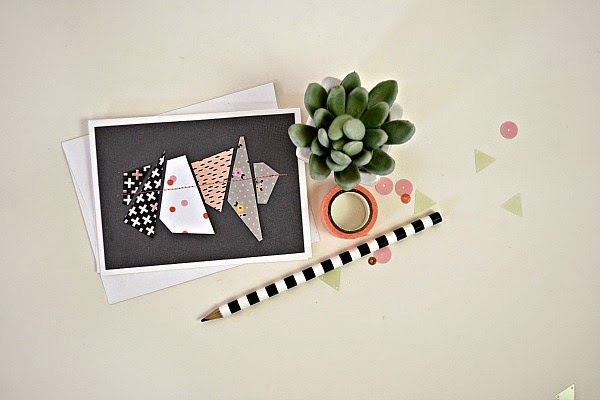 I loved the paper and wanted to make a few small projects like these embellished handmade envelopes! The kids are all set for Spring break next week and I thought it might be a cute idea to give the teachers a gift of little envelopes containing packets of seeds to plant over their break. We chose easy to grow seeds packets and a few packets of flowers and then made these super easy sewn envelopes with some graph paper. 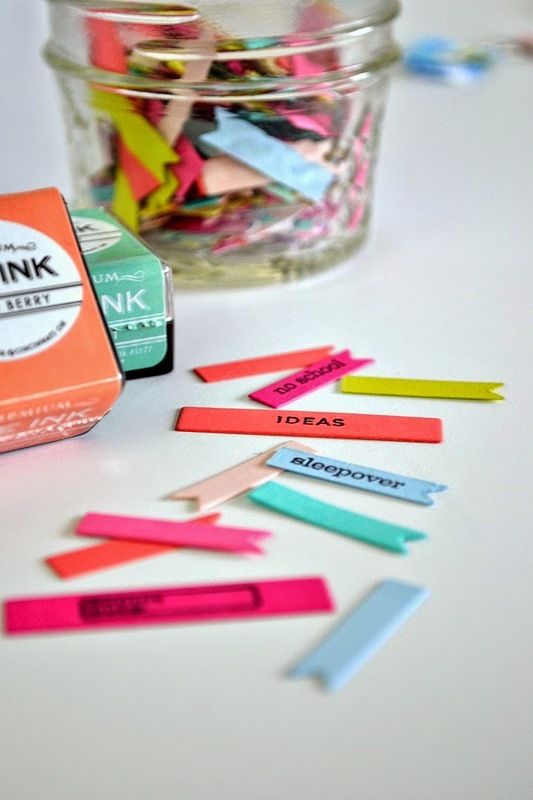 Add a chalk board marker and assemble a few tags together and you have a thoughtful gift! 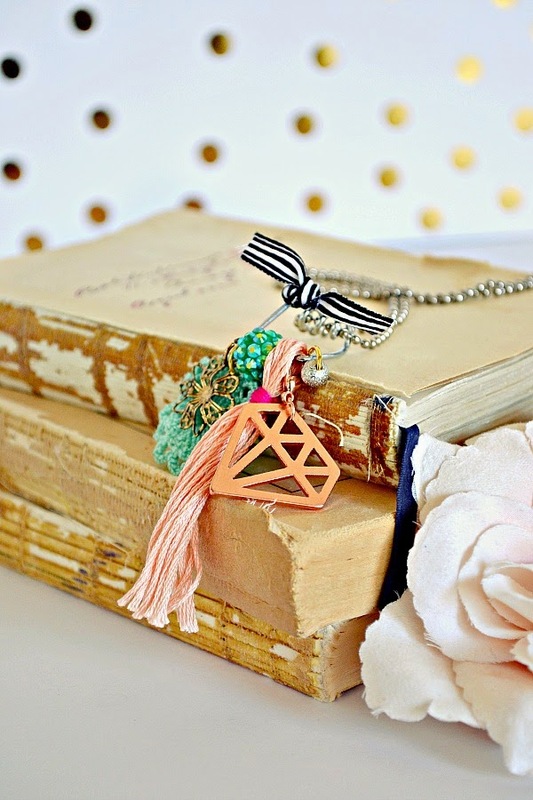 I love some of the products that Pink Paislee has out this season -like these clip on metal charms. 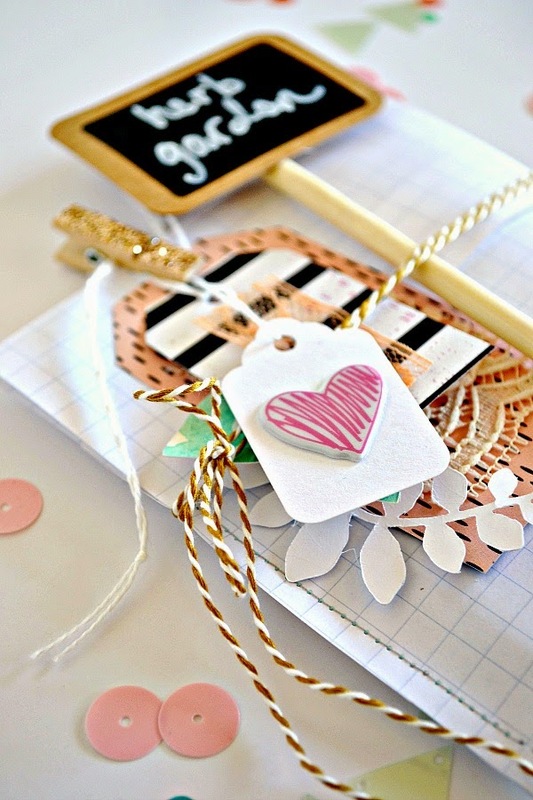 They are a fabulous addition to not only scrapbooking and little mini albums but I used an extra diamond shaped charm for a necklace. 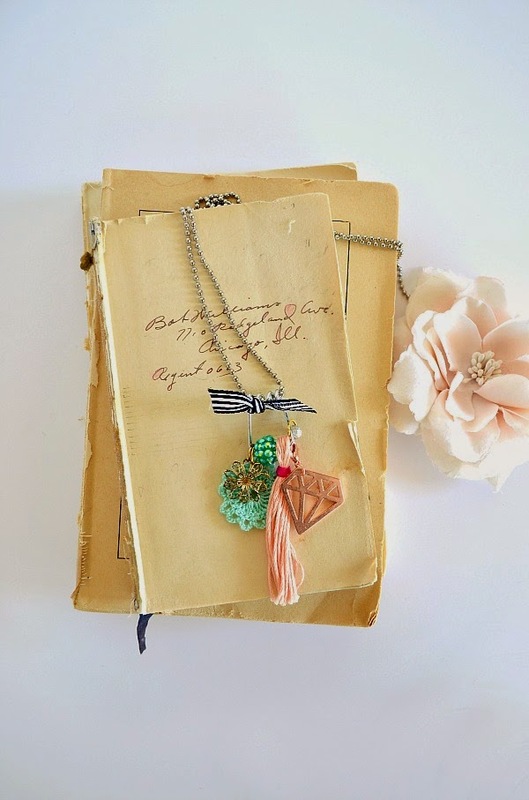 I'm calling these 'Flea Market Charms' since they are a mix of found and collected objects. and because it's not Spring unless there are a few flowers! I've had this vintage embroidery hoop tucked away in my craft closet for years and recently found it while doing some Spring cleaning. Alaina got a peek of this petite wreath while I was assembling it and promptly claimed it as hers. I have a sneaking suspicion that the kids hang out with me towards the end of the month, to see what they can stake their claim on while I create projects with each of the kits! I'm really loving the black and white with a dainty flowers! 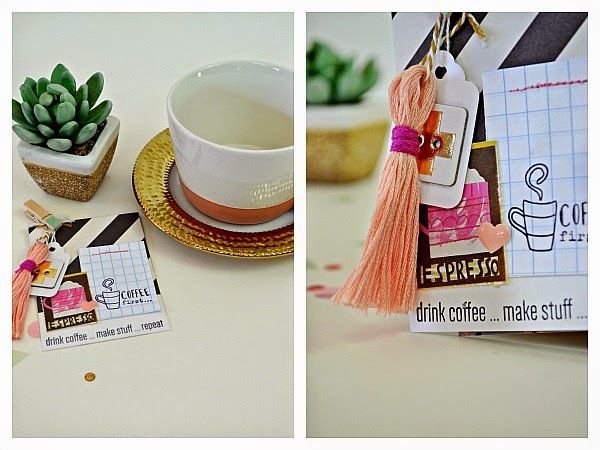 I have another post for the Gossamer blog later on this month but here's a sneak peek - my most favorite projects - tiny mini books! Thanks for stopping in tonight and have a lovely rest of the day! !